On October 14th, five Vision professional triathletes will take on the pinnacle of the Ironman calendar – the legendary World Championship in Kailua-Kona, Hawaii, known for its gruelling conditions, iconic vistas and Ironman heritage; it was here that it all began over 40 years ago. Competition for the 41st edition is looking tougher than ever as a 99-strong pro field take on a 140.6-mile journey that tests body, mind and bike. Carrie Lester from Australia has had a fantastic season, taking the women’s title at Ironman France, increasing her overall iron distance wins to six. After her 10th place at Kona last year, Lester’s looking for a top 10 at this year’s edition, which takes place along the Kona coast, with black lava rock dominating the landscape and athletes battling it out in gusty winds and searing heat – and she says she’s ready for the conditions. “I feel confident and comfortable with my Trimax Carbon SI Aero Bars and Vision wheels,” she says. Meanwhile, Vision athlete Michelle Vesterby has the podium in her sights at this year’s World Championship. Vesterby, from Denmark, won Ironman Copenhagen in August, riding her way to victory with a sub-five hour bike split on her Vision Metron 81 SL Disc wheels. “They’re very stiff and I feel like I’m moving forward,” she says. “I like the response. I know that they’re made with love!” With Kona’s constant breeze, aerodynamics is key. “I try to improve my bike fit during the year so that I’m as aero as possible,” she says. Vesterby will be using Vision’s DS1 drink system which, with a super aero profile, fits to the head unit for easy hydration and, with searing temperatures of up to 100°F (38°C), once riders hit the lava fields, getting their hydration right is critical. Vesterby is one of the most consistent performers on the Hawaiian course. Hailed by Ironman as one of the A-list headlining the women’s group this year, her competition includes Daniela Ryf who aims to return to defend her title. Another athlete looking for superior aerodynamics to aid his performance on the windy course is Terenzo Bozzone, 70.3 World Champion from New Zealand. Racing alongside Bozzone is Alessandro Degasperi, known to fans as ‘Dega’ who, with 15 years of triathlon podiums and a win at Lanzarote behind him, is back at Kona for his second year in a row. This year’s Ironman 70.3 Staffordshire winner Giulio Molinari from Italy is, at 29, the second youngest in the pro field. “It’s my first time at Kona,” he says. 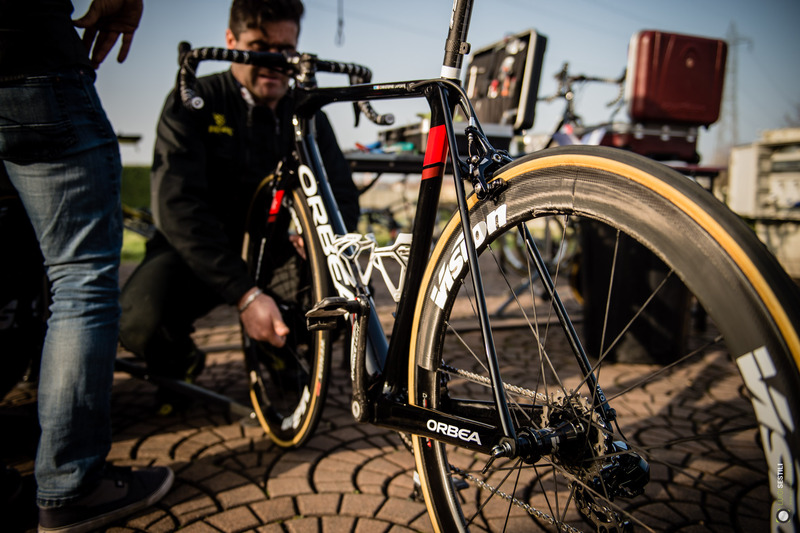 “I’ve had a program designed specifically for the temperature and humidity, and the bike’s aerodynamics is also crucial in these conditions. 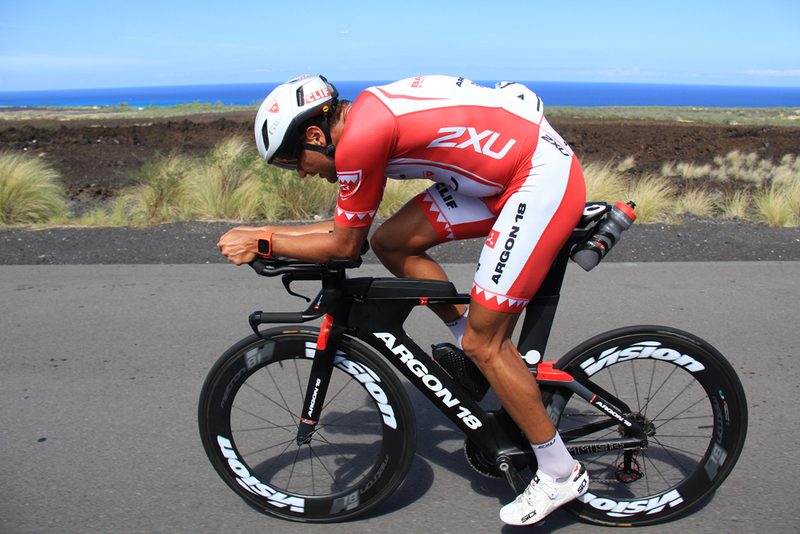 My Vision wheels are very rigid and aerodynamic, perfect for Ironman races. Moreover, they look really impressive!” he says. The men’s field will all have their eyes on last year’s winner, Jan Frodeno. Vision would like to wish all the athletes luck in this year’s race which, thanks to the incredible determination and dedication across the professional and age group field alike, is set to be spectacular. Watch the World Ironman Championship on October 14. Details are available on the Ironman website.